Phd, Inc., Fort ne, IN, a manufacturer of industrial automation equipment, has introduced new high-temperature options for its Series GRM clamps, designed for use in hot-forming applications. The GRM clamps with the G11 option include replacement of urethane-based components with all metal components; high-temperature-resistant seals and lubricant rated to 392 deg. F; and ceramic-coated tips that minimize thermal transfer from the heat source to the clamp. The new clamps are designed specifically for handling sheetmetal in stamping/fabricating press applications. 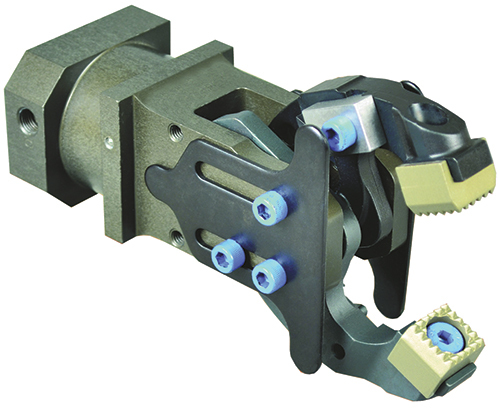 The clamps are available in three sizes, 13 jaw styles and numerous jaw openings to fit a range of applications.